After a recent visit to Tokyo, Mark Boardman created this fabulous artwork. 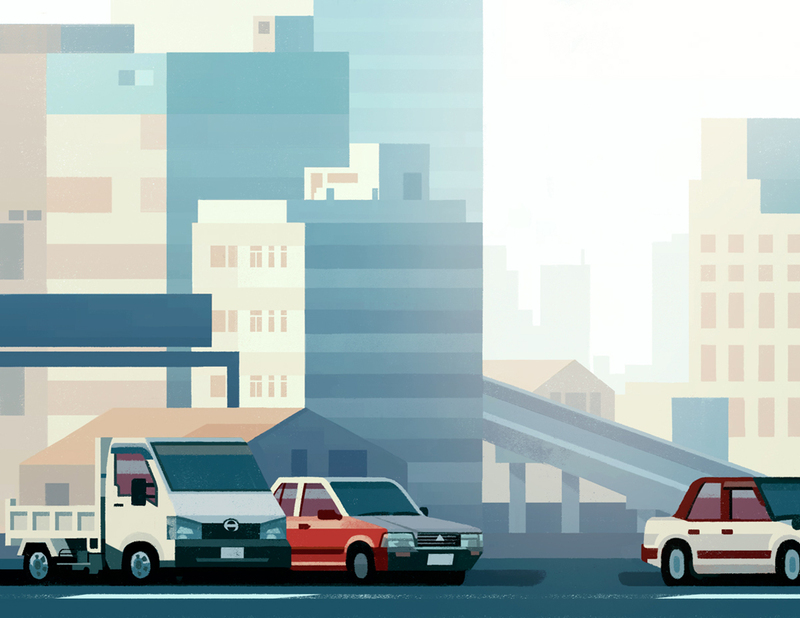 'This illustration is inspired by a trip to Tokyo. I wanted to see the day to day workings of the city rather than visiting the well known landmarks. Descending from the elevated road and weaving between skyscrapers was like a choreographed introduction to the city.' To view Mark's full portfolio, click here. Mark Boardman is represented by Meiklejohn. Published on 9 November 2016.